While drinking my morning fruit smoothie I see a white rabbit in my yard. I smiled and thought, “That looks just like mi…” and mid-thought the realization hit. Jailbreak. 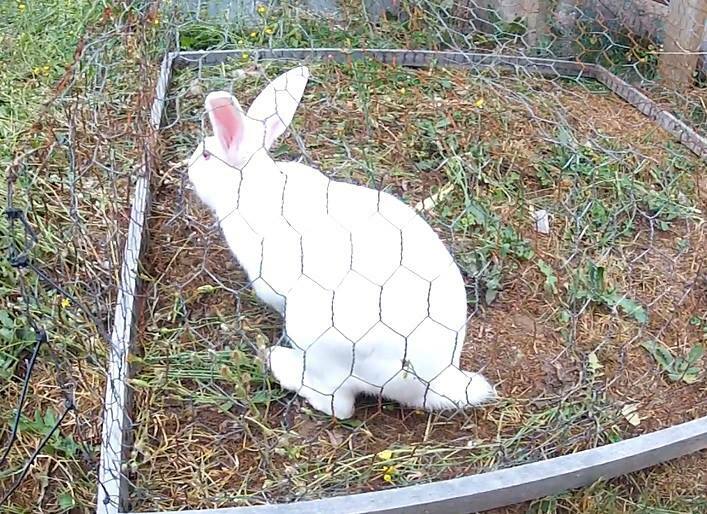 I know there are a few of you at this point cheering the bunny on, hoping it would escape… however he is safely back in his cage. On a related note. We bred the rabbits for the first time yesterday which means we should have baby bunnies in 28-32 days.